A few months back I began a series that has certainly been challenging and thought- provoking for me. I hope God is also using it in your life. The information discussed comes from a sermon by the senior pastor at my sending church. My notes start with these words: "Like longevity in life, some basic things are needed - right genes, right diet, right exercise, and right environment." Can you see the spiritual parallels? Examining how these principles apply to longevity in ministry on the mission field is forcing me to evaluate whether or not I've been building into my daily life the right sorts of habits and practices to facilitate such longevity. Key is an understanding that God is sovereign and that He is also sufficient. But what does the practical outworking of those beliefs look like? I've identified seven essential priorities that help protect from burnout and the temptation to sin... ones that direct and give hope for the future... ones that remind that all is grace and a gift from God. Last time I wrote, I made the statement that, perhaps, accountability is the most difficult one of all. Those who have conversed with me regarding that statement definitely agree that it is a challenge. Is accountability to our faith brothers and sisters a biblical idea - or is it a tradition of men (the type of behavior for which the Pharisees were so consistently rebuked by Jesus) and the only one to whom we need to answer is Jesus? I believe the Bible speaks for itself on this matter, and I identified several places in the Bible where I believe the principle of mutual accountability is clearly taught and/or encouraged. One of the most powerful passages, in my opinion, is in Genesis, where, right after murdering his brother, God asks Cain, "Where is your brother?" and Cain essentially replies, "I don't know. Am I my brother's keeper?" I believe a clear implication in that passage is that yes, we are to watch out for... watch over... each other. What is it about such accountability that creates an environment where longevity and finishing well can flourish? I'd considered discussing accountability strategies, but I think that is less important than establishing a case for the importance of accountability (i.e. the most recent post in this series) and the rationale for why... maybe how... accountability helps. During the Thanksgiving holiday, my girls and I watched The Hunger Games together. 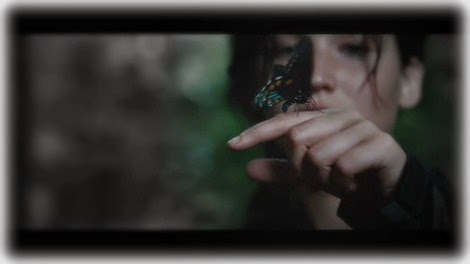 At one point in the movie, Katniss, the main protagonist, feels hopeless and is despairing. Immediately, the scene changes to the two men who are responsible for organizing and structuring the games. They are conversing and one of the men, President Snow, says to the other "Hope is the only thing stronger than fear." I would propose that accountability-done-right works because it gives hope, and it is that hope which defeats and frees from fear. How does accountability bring... or give... hope? Free from fear? Accountability makes me part of a team, continually reminding me that it isn't just "me and God" against the world. Rather, there's a whole army fighting with me, an army that includes my brothers and sisters in Christ. Accountability forces humility - and while God resists the proud, He gives grace to the humble. Accountability ultimately makes me stronger as I acknowledge where I've fallen... or am tempted to fall... and therefore others step in to help and be strong where I can't or where I struggle. Accountability reminds me of my need for God's grace and for God's grace flowing to me through the lives of other believers. My dependence on the grace of God and others through the practice of accountability gentles me and makes me more likely to be gracious to others. Accountability through confession is cleansing; when I feel cleansed, I feel more hopeful and once again renewed. Accountability frees. When I'm no longer trying to maintain an image to meet the expectations of others, because I'm open and authentic regarding my struggles, I don't have to carry the burden of what happens when I fail to meet those expectations. Accountability enlists the power of prayer. Accountability promotes to healing and health. Accountability done well builds up and encourages. Have you ever had someone confront you on an area of sin or a blind spot? James 1:19 says, "My dear brothers, take note of this: Everyone should be quick to listen, slow to speak and slow to become angry." Why are these traits important in an accountability partner? Which one do you need to most work on? Sorry that I'm late to comment here. You did a great job of showing the necessity of accountability. I'd still like to hear more about how that works out practically, if you can. What does this look like in real life? I think what accountability looks like practically is a variable thing. I have a friend that meets with an accountability partner every week and they have very specific questions they ask each other. It might be email. It might be a program like Covenant Eyes. It might be our supporting churches asking us hard (and sometimes irritating) financial and personal life questions when we report back to them on furlough. It might be between hubby and wife... parent and child... peers... mentor and mentee. But the thing that is key is that it is planned/intentional and that it is consistent. We just had a great sermon (based on the last two verses in the book of James) at one of our supporting churches today - all about our accountability to those we see "backsliding" or falling into sin, as well. That when we say, "It's not my business," and look the other way, then we too, are guilty. So I think we all need to have those to whom we are accountable, but then to gently and lovingly hold others accountable. Does that flesh things about a bit more for you?